Product #18661 | SKU RODNTG8 | 0.0 (no ratings yet) Thanks for your rating! 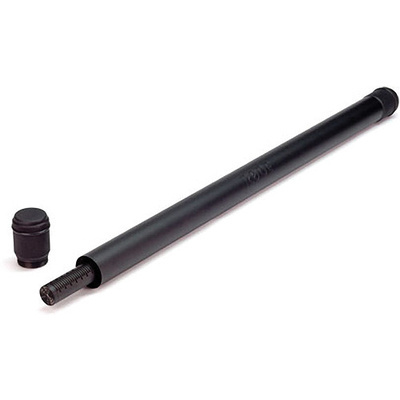 The Rode NTG8 Precision Broadcast-Grade Long Shotgun Microphone picks up on the tradition of the NTG3 shotgun microphone with broadcast-quality performance, uniform directionality, and durable construction. The long NTG8 measures 559 mm in length and features a true condenser, supercardioid, external RF biased element with a high resistance to humidity and adverse weather conditions. Its extended length makes the NTG8 a viable choice for achieving high levels of intelligibility, detail, and low noise during wide camera shots, or while positioned further from the signal source. The NTG8's frequency response, sensitivity, and dynamic range make it ideal for use in audio for video, feature film, documentaries, live broadcasts, and much more. The microphone is phantom powered (externally), and includes a windscreen, shockmount, and aluminium storage cylinder.